LED wall pack lights are outdoor lighting fixtures that are commonly mounted on the exterior walls of buildings. Today’s commercial and residential building exteriors heavily rely on a variation of LED wall pack lights for illumination. These wall-mounted lights have resolved general wall light problems of the past, making LEDs hard to argue with. 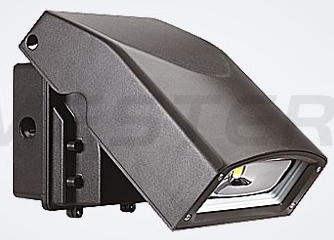 LED wall pack lights are principally tasked with providing a safe exterior environment. Hotels, hospitals, schools, and any public area frequented by vehicles and pedestrians would benefit from the reliable, high power illumination produced by LED wall pack lights. They also function well as an extra layer of security for property owners. Long lasting – they last for so many years before being replaced. This is because LEDs don’t unexpectedly burn out like conventional lights. Instead, lighting diodes begin emitting reduced output levels after years of installment. Energy savings – you can gain a 40%-60% reduction in energy consumption just by switching to LED wall pack lighting. Environmentally friendly – they do not contain toxic chemicals unlike fluorescent bulbs that contain mercury and other harmful elements. They are highly suitable for illuminating materials that are heat or light sensitive. Integrated with sound technology, explosion proof electrical enclosures & products contain various electrical components like sockets, controls, knobs, transformers, plugs, and switches to keep the surroundings safe from electrical hazards. These products can keep any interior explosion from spreading to the external environment and damaging life and property. As top LED wall pack lights wholesalers, Maes Lighting has your best interests in minds. They can provide you with the best LED wall pack lights on the market. Maes Lighting also offers explosion proof electrical enclosures & products that are designed for use in highly corrosive areas.